Almost every new-car segment is booming right now, with one exception: green cars. Whether you’re talking hybrids, hydrogen or even traditional high-mileage economy cars, today’s car market isn’t particularly fond of fuel efficient vehicles. At Kelley Blue Book we’ve seen hybrid and alternative energy car sales drop by more than 12 percent so far this year, which means manufacturers offering hybrid vehicles have to try that much harder to win over consumers. 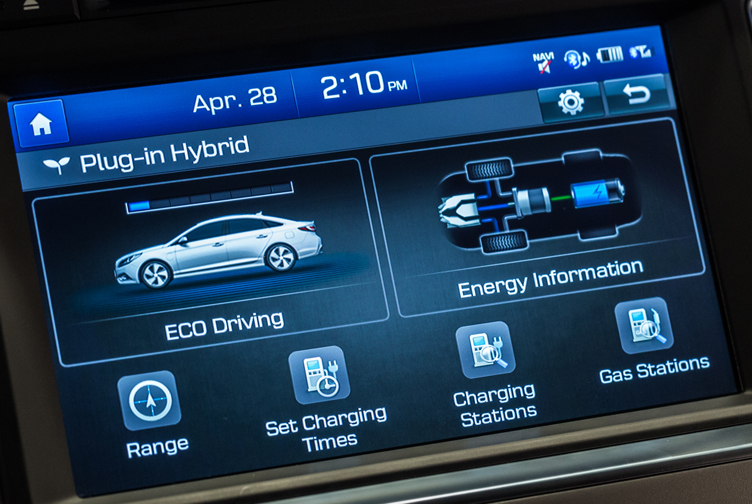 Hyundai is facing this challenge with its all-new 2016 Sonata Hybrid and Sonata Plug-in Hybrid. 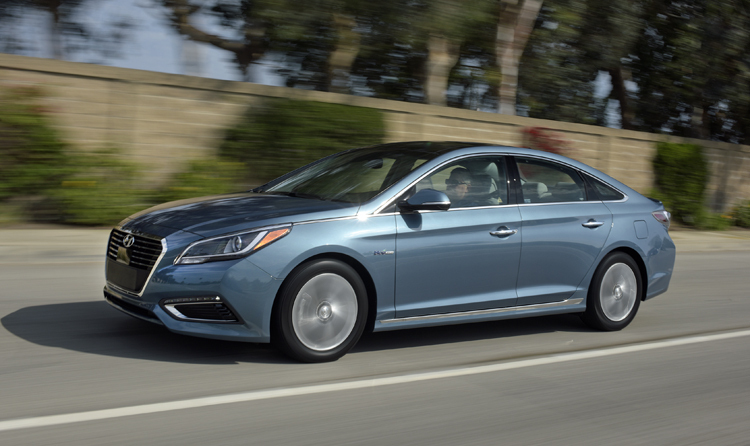 Both models are all-new this year, with the traditional Sonata Hybrid completely redesigned for 2016 and the Sonata Plug-in Hybrid representing the Korean automaker’s first plug-in option for U.S. shoppers. An impressive array of technology is incorporated into both versions, including some unique hi-tech features making their industry debut on the 2016 Hyundai Sonata Plug-in Hybrid. Pricing hasn’t been announced yet, but expect the standard hybrid to start close to $30,000 and the plug-in to be closer to $40,000. Let’s take a look at the top 10 hi-tech features pushing the 2016 Sonata Hybrid and Plug-in Hybrid to the forefront of green car technology. These features will appeal to consumers seeking to cut their fuel bill while giving both models a fighting chance in this hybrid-averse market. 1. Advanced Aerodynamics: A combination of active front grille shutters, smooth underbody panels, a low-profile rear spoiler and unique wheels cuts the Sonata Hybrid’s coefficient of drag to 0.24, lower than any competitively-priced hybrid or electric vehicle. This smooth shape, combined with more than 50 percent high-strength steel in the unibody structure, gives the Sonata Hybrid a composed and whisper quiet ride while also protecting occupants during an impact. Additional safety features, including blind spot detection, lane departure warning, forward collision warning, and a virtual engine sound to alert pedestrians when the vehicle is operating in pure electric mode, are available to bolster the Sonata Hybrid’s safety pedigree. 2. Accommodating Interior: The 2016 Hyundai Sonata Hybrid is slightly longer, wider and taller than the previous version. It also has a longer wheelbase, all of which contributes to its class-leading interior volume. The front and rear seats offer exceptional head, leg and hip room while being extremely comfortable. Additional standard or optional equipment includes a push-button start, leather seats, heated front and rear seats, ventilated front seats, a 4.2-inch gauge cluster display, an 8-inch central touchscreen display, navigation system, a panoramic sunroof, LED interior lights, HD radio and an Infiniti premium audio system. Even the base model includes a 5-inch touchscreen, rear camera and dual zone automatic climate control. 3. Cavernous Cargo: Trunk volume is typically compromised in a hybrid vehicle, particularly a plug-in hybrid because of the larger battery pack they require. 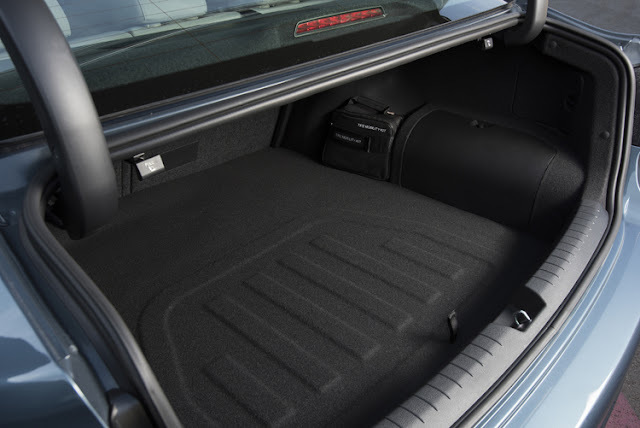 In the 2016 Hyundai Sonata Hybrid and Plug-in Hybrid the trunk remains a functional storage area, with 13.3 cubic feet available in the standard hybrid and 9.9 cubic feet offered in the plug-in version. Both numbers are class leading, and both versions offer a roomy trunk. In the standard Sonata Hybrid it combines with a 60/40 split-folding rear seat for maximum cargo flexibility. The battery pack itself includes a lifetime warranty, and this is in addition to the 10-year/100,000-mile drivetrain warranty offered on the rest of the hybrid and plug-in hybrid drivetrain. 4. Efficient Engineering: Hyundai has improved every aspect of the new Sonata Hybrid’s drivetrain. The combustion engine is .4-liters smaller (now a 2.0-liter), and slightly less powerful (193 horsepower and 140 pound-feet of torque), but fuel efficiency has been increased through a combination of advanced engine technologies, more effective regenerative braking and a smaller, lighter, yet more powerful 1.62 kWh electric motor. 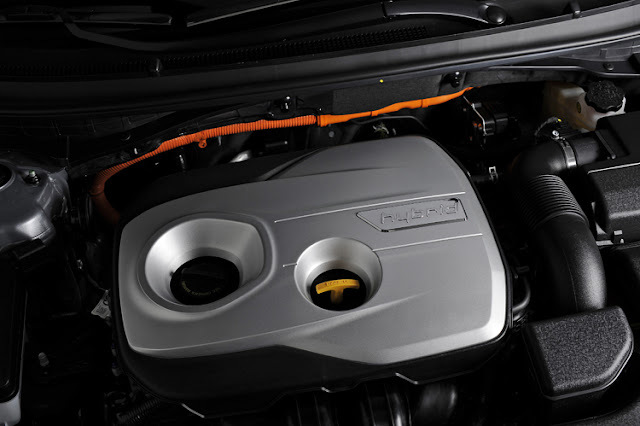 Peak power jumps from 193 hp to 202 hp in the Sonata Plug-in Hybrid, which uses the same engine and motor combination as the standard hybrid, but utilizes a larger 9.8 kWh battery pack with more power. The Plug-in Hybrid can also travel up to 24 miles and at speeds up to 75 mph on pure electricity. 5. Traditional Transmission: When engineering a hybrid for maximum fuel efficiency most car companies default to a continuously variable transmission (CVT). This transmission design is effective at keeping an engine in its most efficient RPM range, but most of them are also quite ineffective at providing a rewarding driving experience. 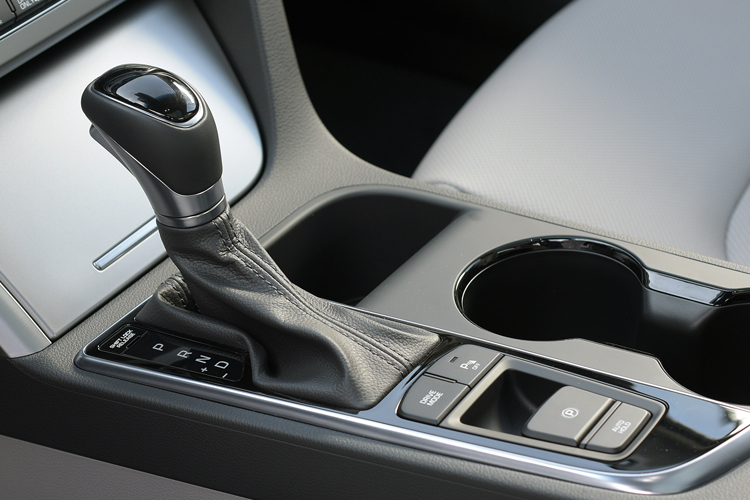 Hyundai avoided the latter issue by sticking with a traditional 6-speed automatic transmission that delivers responsive upshifts and downshifts. At the same time, the 2016 Hyundai Sonata Hybrid is EPA rated at 40 city, 44 highway and 42 combined mpg. The Sonata Plug-in Hybrid hasn’t been rated by the EPA yet, but Hyundai is expecting it to achieve a combined 40 mpg. 6. Gauge Graphics: The gauge cluster in the Hyundai Sonata Hybrid replaces the traditional tachometer and temperature gauge with a vehicle energy gauge and battery state-of-charge meter. 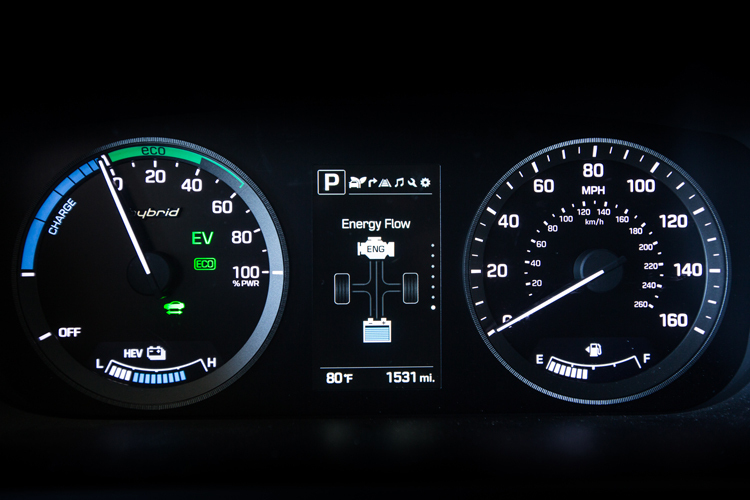 The central, multi-information display between the gauges is also modified to show hybrid-specific items like energy flow and, in the Sonata Plug-in Hybrid, which of three driving modes the vehicle is operating in. Both versions also display a “driving style” rating at the end of each trip. This rating is based on how effectively the driver applied the throttle and brakes, coaching drivers to be more efficient. Three ratings range from “Economical” to “Normal” to “Efficient” with a percentage number to indicate how much of the trip was driven in each style. 7. Dynamic Display: The hybrid gauge cluster is supplemented by an 8-inch central touchscreen display on every Sonata Plug-in Hybrid as well as standard Sonata Hybrids with the “Limited Ultimate ” package (the base Sonata Hybrid SE and mid-grade Sonata Limited trims get a 5-inch touchscreen display). This 8-inch display offers a variety of hybrid-specific information regarding energy flow, driving range, nearby charging stations and settings for the plug-in hybrid’s charging schedule (meaning you can program it to charge at night to take advantage of cheaper electricity rates). Of course this display also provides traditional information related to the audio system, navigation guidance and hands-free phone calls. 8. 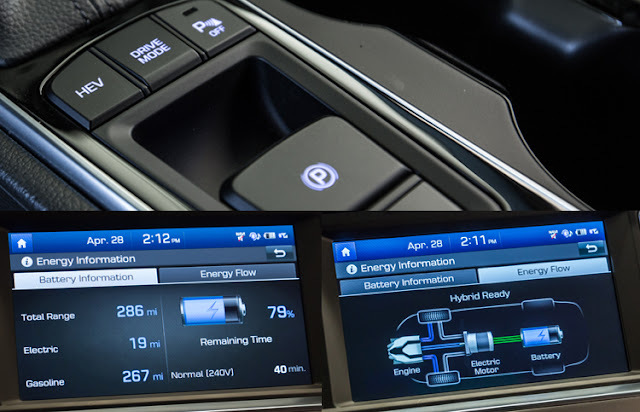 Multiple Modes: One of the most compelling features on the 2016 Hyundai Sonata Plug-in Hybrid is the choice of three driving modes that provide drivers with full control over the vehicle’s on-board battery pack. While most plug-in hybrids decide when to use pure electricity mode based on internal programming, the Sonata Plug-in Hybrid lets drivers switch between pure “EV” mode, Hybrid “HEV” mode or “Charge” mode whenever they choose. The latter mode utilizes the Sonata’s motion to charge the on-board battery pack, and in a surprisingly short time if you’re traveling at highway speeds. This means you can fully re-charge the battery while driving, though it does reduce the engine’s fuel efficiency while in this mode. 9. Charge Clarity: When using an outlet to charge the new Sonata Plug-in Hybrid an indicator light on the dash makes it easy to see the battery’s state-of-charge through the windshield. A standard 120-volt outlet will charge a depleted battery in less than 9 hours while a 240-volt outlet will do the same in less than 3 hours. And with Hyundai’s Blue Link smartphone app it’s easy to remotely schedule and monitor the battery’s charging activity. A fully charged and fueled Sonata Plug-in Hybrid has a total range of 605 miles, a number that seemed quite realistic based on our seat time in the car. 10. 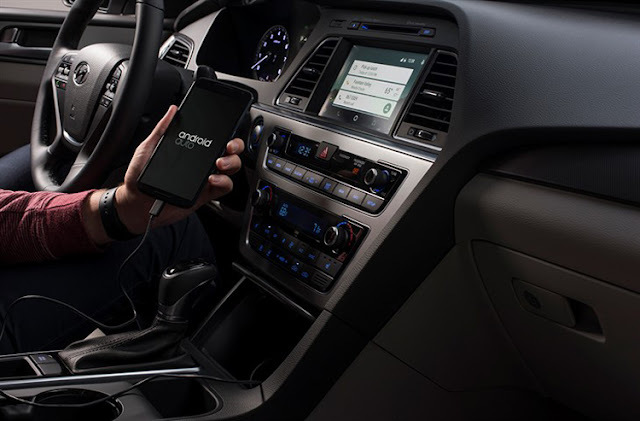 Android Auto: A final technology feature, now available on every new Hyundai Sonata (including the Hybrid and Plug-in Hybrid) is Android Auto. This interface mirrors the controls of Android cell phones through the central touchscreen display in the Sonata. Voice-activated control for making phone calls, sending texts, playing music or entering a navigation destination can be initiated through a button on the Sonata’s steering wheel. While several car companies will be offering this control interface, along with Apple’s CarPlay, over the next 12 months, Hyundai is the first mainstream brand to make it available on a production vehicle — right now. 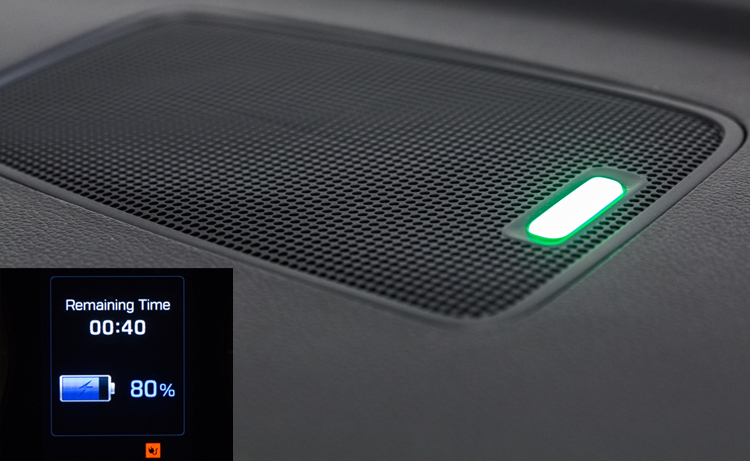 If you’re looking for the most effective in-car control interface, this is it.